Learn how the CHANCE Drivecast™ screw displacement pile utilizes soil displacement to efficiently provide high capacity without a high mast rig, producing predictable results. Download the CHANCE Drivecast pile application brochure - for free! 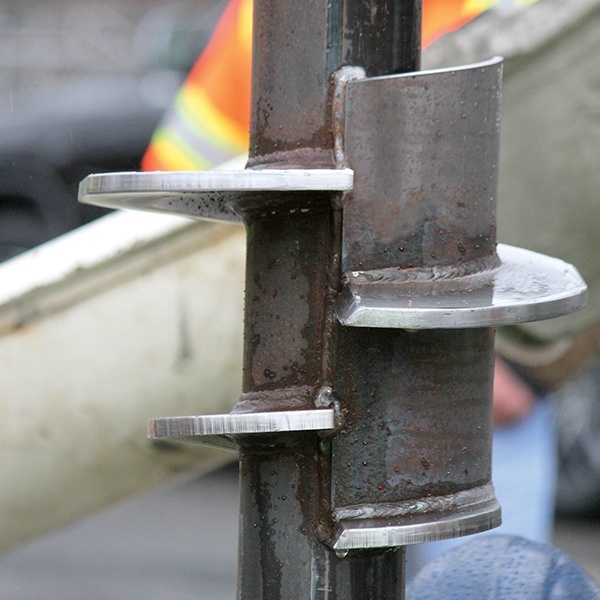 Learn more about screw displacement pile technology. Complete the information below to receive immediate access to our application brochure! As a proven engineered system, bearing and side resistance is combined to bring a high capacity solution to a wide variety of applications for new construction, heavy highway, tanks/sewer, pipelines and commercial/industrial buildings. 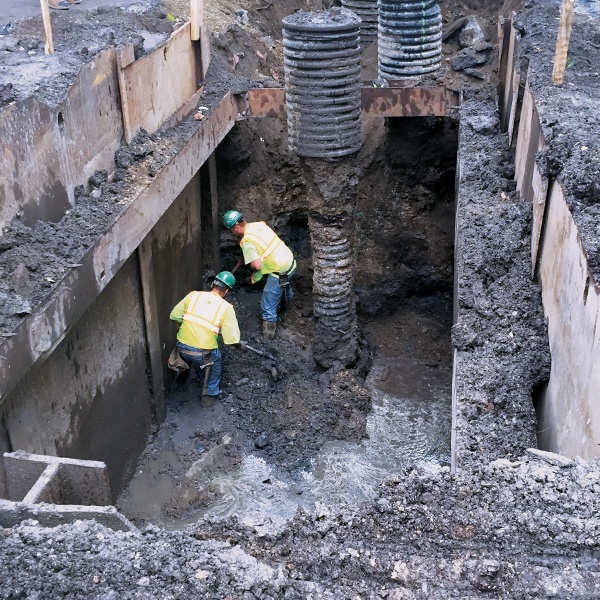 Construct a high capacity pile, simply by installing the Drivecast pile to the required depth while maintaining a grout reservoir. Gravity naturally pulls down the grout into the void created by the displacement assembly, creating a high capacity composition pile.